I STARTED 2016 WITH 3 MAJOR TRIATHLON GOALS. I'M NOT GETTING ANY YOUNGER AND HAVING HAD A FAIR AMOUNT OF SUCCESS AT IMNZ I HAD STILL YET TO BREAK THE 9 HOUR BARRIER. IMNZ is not typically a fast course but it remains the litmus test for all Kiwi long distance athletes. I could have found a faster race overseas but I prepared well and with the help of my Coach Dan Plews I was able to not only break the 9 hour barrier but also record the fastest ever age group time for a Kiwi on the Taupo course clocking 8 hrs 48 mins. This marked a great start to the year and also helped solidify my goals of podium finishes at this year’s 70.3 and Ironman World Champs. So I set my sights on the 70.3 World Champs in Mooloolaba. 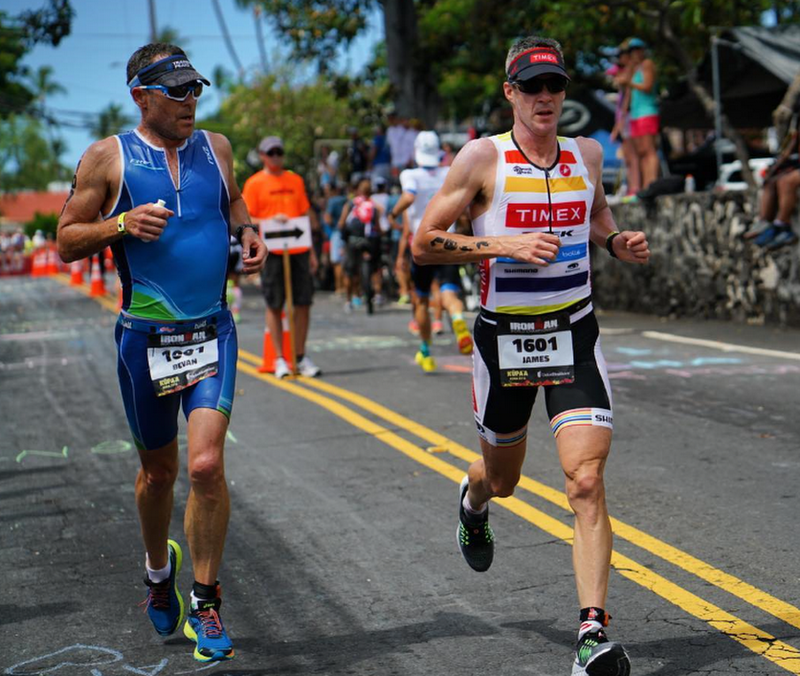 Having the World Champs come closer to our part of the world was the major attraction and with the timing of the event leading into Kona it seemed like the perfect build up race. I knew my form was good and so I was very pleased to be able to win my age group at this race in what I see as my weaker distance. 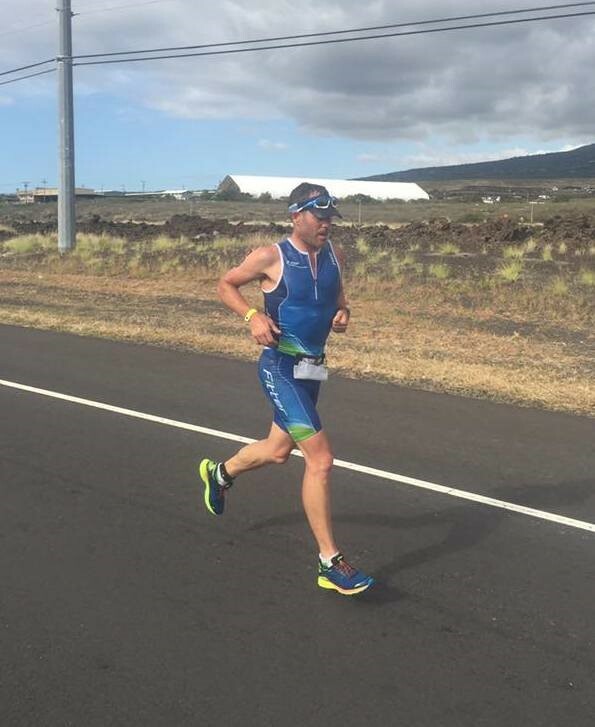 Racing at the 70.3 World Champs is a very competitive affair and the small winning margin was a good warning sign that I needed to be on my A game on the Big Island. Becoming a 70.3 Age Group World Champ was great but I still felt it was s stepping stone to the bigger goal of Ironman World Champs. I raced in Kona 9 years ago and having qualified numerous times since, the first experience scarred me so I hadn't come back. It's a race and environment that suits a certain type of athlete. I'm not naturally that athlete but I have access to great minds, great facilities and a great work ethic that helped me get as close as I could to be competitive in this arena. Dealing with the heat and the wind is key. As many people mentioned pre-race if it wasn't the world champs or carried the storied history then the race course itself would not draw us back to the island. It's unforgiving, brutal at times and if you throw in the knife edge competitiveness of the athletes it's a race that can so easily go wrong when everyone is fit, prepared and motivated to achieve their own personal world record. I arrived here in good shape, healthy and acclimatised for the conditions. Although we were also here to record for our Fitter Radio podcast which meant the first 3 days were very hectic with work I'll admit it I was here to win. I'm not one to scour the results to check on the competition but I knew that I had probably posted the fastest global qualifying time so I gave myself every chance. My real strengths are the swim and the bike but the reason why I don't suit this race is that as a bigger athlete the heat on the run was going to be the real test. The swim is by far the most beautiful part of the race and one in which the real connective energy of this event reveals itself. As athletes we may be in the water but the close proximity of the supporters and the collective realisation of what it’s taken to get here is captured in the final moments before the start. I positioned myself well and after some crash and bash the swim was uneventful and relatively easy and my Roka Viper swim skin felt very fast. Onto the bike it was a case of making sure I rode in a controlled fashion which takes a bit of ego control in front of such a big vocal crowd. I was also very aware that there would be many athletes who could ride well so my approach was different to how I would historically approach the bike leg. Today was not the day to try and build a big lead but it was to remain patient and post a bike split that gave me a chance on the run. Having only picked up my new Cervelo P5 from my sponsors Kiwivelo 10 days prior to the race most athletes would be a bit nervous about the 180 km. There is a reason that Cervelo topped the bike count at Kona this year and it’s because they simply make the best bikes. Given I have complete faith in my Profile wheels I was hardly surprised that I felt absolutely at home on the P5 and I’m delighted with the performance of the bike/wheel combination. Onto the Queen K Highway and I just tried to make sensible decisions in positioning myself legally into pace lines. Throughout the bike ride there was a far greater presence of draft marshals than what I ever see at IMNZ so it meant for a very fair race. Being at the front of the age group race I was less affected by the group riding dynamics which plague championship races. I was only ever riding with 5-6 other athletes at any stage and then after the turn at Hawi these groups splintered even more and from 140 km onwards I was on my own and slowly picked riders off as I rode my own tempo back to town. Starting the run is where the real truth of this race exposes itself. I found this out straight away as although the legs felt OK, the environment comes home to roost. I had checked my Garmin 1000 bike computer on the way home to see that the ambient temp was 29 degrees so the start of the run along Alii Drive would require patience. It’s a section of the run course that is more enclosed and can have less air flow so managing this section was crucial. It’s an out and back so everyone is trying to look good but I was also dealing with the need for toilet stops. I had consumed my normal 20 Balance gels and KetoCana powder on the bike but this was the first race where Coca Cola was available throughout the entire ride. I had taken a number of bottles throughout the bike and thru the first section of the run it just went straight through me and I had to call into the port-a-loos on 3 occasions in the first hour. I wasn't suffering gastric distress or nausea but I knew I also couldn't trust passing a toilet as I negotiated this section of the race. This was also the point where the internal monologue started. It was already feeling very hard and I was suffering from my feet burning as the friction on the soles coupled with the heat from the tarmac started to blister both pads on my feet. I had already considered this issue prior to race day and had bought a selection of shoes from my sponsor Shoe Clinic (Asics DynaFlytes and Hoka Tracers) to try and combat it. The issues is more that in trying to cool the body your shoes become soaked and movement of foot against the shoes soles becomes inevitable. I had to immediately start to break down the marathon into bite size chunks. The next landmark, time goal, aid station. Whatever makes 42km digestible without having to think about it in its entirety and all the while trying to ignore my feet. I convinced myself that the Queen K was my solace. Get through town where I could put on a brave face for supporters and then get onto the highway to suffer on my own. The Queen K is bitter sweet. A desolate strip to negotiate in relative quiet but one that stretches to the horizon and glistens and shimmers in the heat. I was asked by friends early on in the run if I wanted splits to my competitors but I declined. I could only focus on myself so I worked from aid station to aid station trying not to think about the potentially difficulty of the fabled Energy Lab. I always walk through aid stations consuming what I need and this provided brief respite from the grind and the swelling in my feet. One more toilet stop and I was into the Energy Lab and soon enough making the turn at the bottom marking the homeward leg. Unbeknown to me this is where I took the lead in my age group but I was just focused on the next step. Coming back onto the Queen K it was time for one last toilet stop and then I had a fairly good patch for the next 8 km. With about 3km to go I finally asked supporters for a race split and was given the news I was in the lead by about 90 sec. When you've given everything you have and were hoping to ease it home this was the best and worst news. I have never had to dig so deep and run scared in order to achieve the biggest of the 3 goals this year. It was a brutal race and a brutal finish but my whole year came down to how much I wanted to win and if all it took was 3km of pain I was prepared to give my all. Coming into the finish I knew I had never had to work so hard for a win. The sense of satisfaction in achieving my race goals this year but having to go so deep to the well in this race to finish it off in Kona is hugely satisfying. It’s four days after the race and I can only just walk normally on my feet with the associated ‘cankles’ subsiding. Will I come back? I’m not sure. But this race has an incredible aura and people are drawn to it for various reasons. Ultimately it’s the epicentre of IRONMAN and to win here is something I'll always be proud of.